They make sure you don't get too fat from eating too many pasties or chips...... If they think you have had enough, they will just steal them from you. If you are heading into imminent danger, they will crap all over you from on high to stop you in your tracks thereby saving your life. This is why many people say that being crapped on by a seagull is lucky. Some of you who have visited Cornwall will have noticed that each house has one or more seagulls perched on the roof or on the window sill. This one is called Albert and on duty looking after a new born baby who has just arrived in Truro. 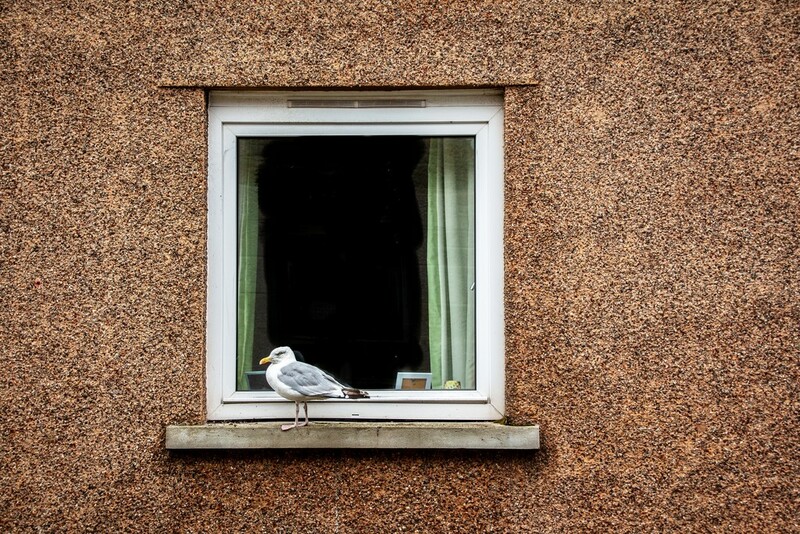 If you are staying here on holiday, you may even find you have been allocated a temporary seagull guardian, who will sit staring at you through the window and occasionally pecking at the glass, just to let you know they are there for you, should you need them. Love the picture and love the story!!! Fav for image and photo! Could I have the name of your supplier?